Anne L. Matthews, RN, PhD, LCGC, FACMG is Professor of Genetics & Genome Sciences and Director of Genetic Counseling Training Program. Dr. Matthews, who was director of the Graduate Program in Genetic Counseling at the University of Colorado Health Sciences Center, Denver, Colorado for 8 years, was specifically recruited to develop, direct and teach in the Genetic Counseling Program here at CWRU. 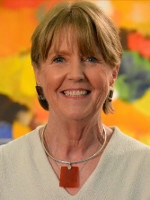 Dr. Matthews received her diploma in nursing from the Massachusetts General Hospital School of Nursing in 1968 and her baccalaureate degree in 1971 from McGill University. In 1973, she received a master's degree and completed her doctorate in genetics and nursing in 1984 from the University of Colorado Health Sciences Center (UCHSC). Dr. Matthews has had extensive experience in genetic counseling, first as Coordinator of the Regional Genetic Counseling Clinic for Colorado and Wyoming and later as a nurse geneticist with Genetic Services and the Maternal-Fetal Surgery and Medicine Program at UCHSC. She was an Assistant Professor on the faculties of the Schools of Medicine and Nursing at UCHSC. In 1996, she joined the Department of Genetics and Genome Sciences in the School of Medicine at Case Western Reserve University. Dr. Matthews is board certified by the American Board of Medical Genetics and a charter member of the American Board of Genetic Counseling. She is a past President of the Association of Genetic Counseling Program Directors. She is also an advisory board member for the Genetic Counseling Program at Stanford University. She is a member of the National Society of Genetic Counselors, and a founding fellow of the American College of Medical Genetics. She is a past editor of the Journal of Genetic Counseling and past president of the International Society of Nurses in Genetics. Her areas of clinical interest and research include curriculum development and graduate education in genetic counseling as well as issues arising from the numerous and complex ethical, social legal and educational issues faced by genetic counselors. The practice of genetic counseling is continually changing as a consequence of the rapid developments in human genetics and genomics. New technologies and extensive research in mapping and sequencing the human genome, and their clinical applications continue to shape the philosophy of genetic counseling and genetic services. Genetic counselors face numerous and complex ethical, social, legal and educational issues. It is within this arena that my clinical and research interests are focused. Most often, the education and counseling accompanying genetic testing is provided by genetic counselors as they support patients in the decision-making process regarding testing and dealing with test outcomes. Counselors also play a role in determining how new genetic information and technology will be used. It is essential that curriculum in graduate education in genetic counseling reflect changes in this knowledge and technology. Such issues as human variation and diversity and how knowledge of one's genetic make-up affects individuals' assessment of self-concept and health, genetic discrimination in regard to health insurance and employment, patient confidentiality and rights to privacy, genetic screening and policy development, potential threats to non-directive approaches to counseling are but a few areas in the counseling curriculum that need to be addressed. Currently, a major focus of mine has been the development and implementation of the dual degree in genetic counselling and bioethics. While genetic counseling programs all provide some ethics training to their students, the ethics curricula tend to focus on ethical issues that arise in practice and professional life. The dual degree program however, allows students the ability to pursue a broader exploration into bioethics scholarship, develop methodological empirical ethics skills, and deeply explore topics of genetics and health systems, genomics research, and public health genomics. The dual degree program allows graduates to engage in both contemplative analysis and application of knowledge in the counseling of patients, for example, deciding whether to pursue genomic screening with a trained eye for the personal and ethical implications of the results. Graduates are also more prepared to participate in the ongoing national dialogue about the ethical, legal, and social implications of advances in genomic technology. Another major area of interest for me is providing both health care professionals and students, who are not specialists in genetics, with basic and current knowledge of applied genetics, thereby significantly increasing the incorporation of genetic information into health care delivery. An assessment of health, social, communication, and daily living skills of adults with Down syndrome. How Might the Genetics Profession Better Utilize Social Media. Growth Deficiency in Cystic Fibrosis Is Observable at Birth and Predictive of Early Pulmonary Function. Developing a Model of Advanced Training to Promote Career Advancement for Certified Genetic Counselors: An Investigation of Expanded Skills, Advanced Training Paths, and Professional Opportunities. Genetics, Malformations and Inherited Inborn Errors of Metabolism. Genomic counseling in the newborn period: experiences and views of genetic counselors. A serious gaming/immersion environment to teach clinical cancer genetics. Hip joint replacement surgery for idiopathic osteoarthritis aggregates in families. What's new in prenatal screening and diagnosis? Grimes SJ, Acheson LS, Matthews AL, Wiesner GL. Medical Geneticists' duty to warn at-risk relatives for genetic disease. Falk MJ, Dugan RB, O'Riordan MA, Matthews AL, Robin NH. Am J Med Genet A. (2003);120(3):374-80. Duty to warn at-risk relatives for genetic disease: genetic counselors' clinical experience. Dugan RB, Wiesner GL, Juengst ET, Matthews AL, Robin NH. Am J Med Genet C Semin Med Genet. (2003);119(1):27-34.